Bluetooth is a great tool for file sharing and connecting devices wirelessly. 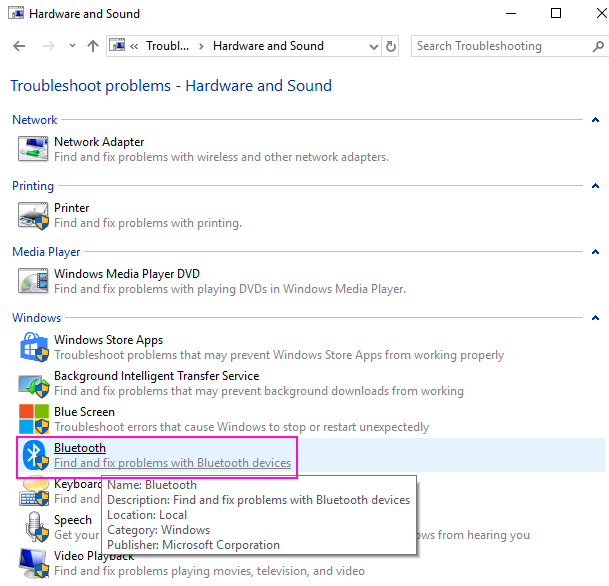 But, in Windows often Bluetooth did not work or you can not connect any device to your computer. Many users are facing this issue and finding it difficult to resolve this issue. So, we have gathered these methods to help you get back Bluetooth on your computer. 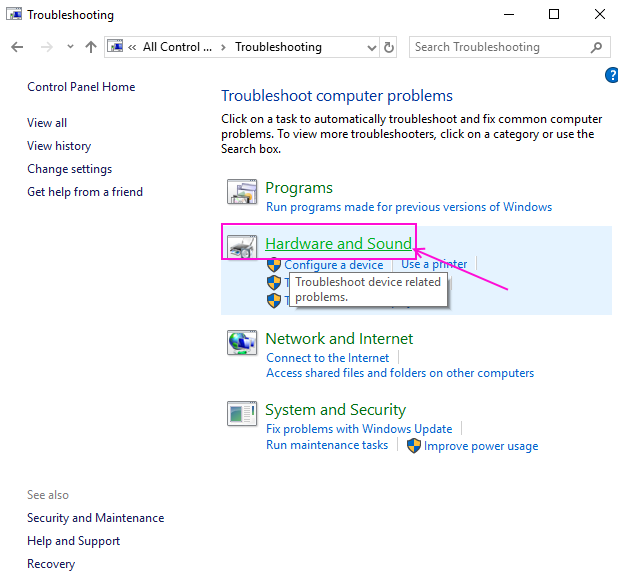 Window Troubleshooter is an official windows program that detects the error in hardware or software and tries to fix it. 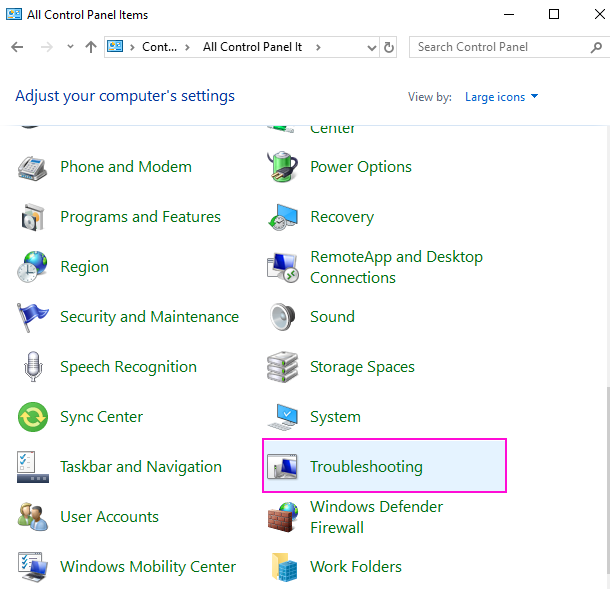 Follow these steps to find the issue by Troubleshooter. STEP 2 – Click on Troubleshooting. STEP 3 – Click on Hardware and Sound. STEP 4 – You will find a list of hardware here, locate Bluetooth and click on it. 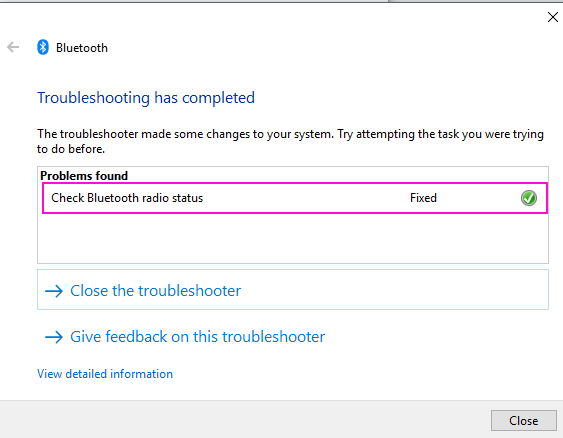 A pop-up window of Bluetooth troubleshooting will open. STEP 5 – Click Next and it will start detecting the issue with your Bluetooth and fix it for you. If not fixed then at least it will give you the error about your Bluetooth so you can fix the issue. If your Bluetooth driver is faulty then it can result in the non working of Bluetooth on your computer. 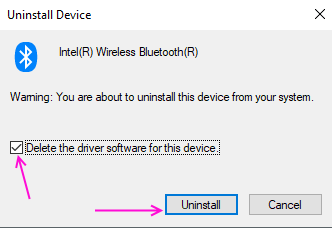 You have to reinstall it to remove the faulty driver and replace it with working drivers. 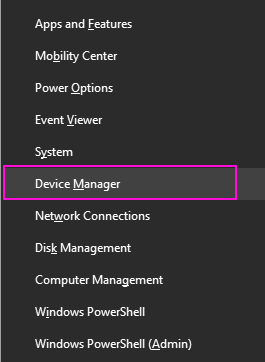 STEP 1 – Right click on windows button and select Device Manager. 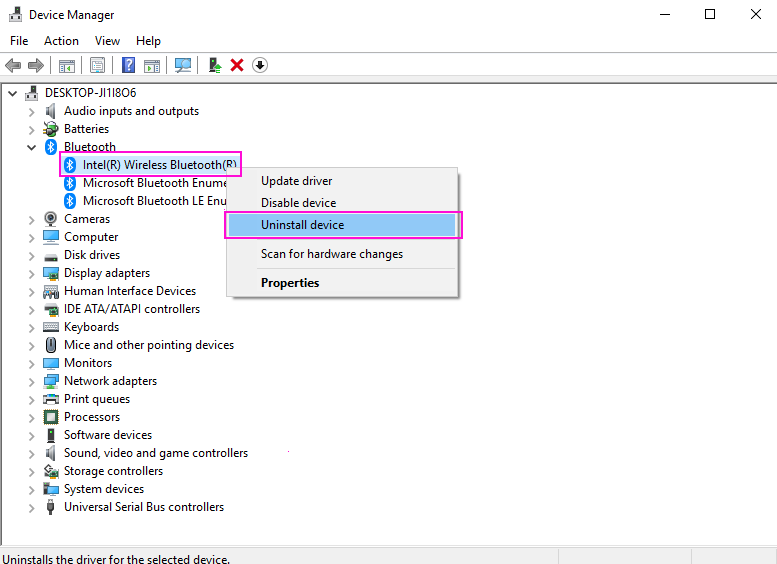 STEP 2 – Locate Bluetooth in the list, Right click on your Bluetooth device and select to uninstall. 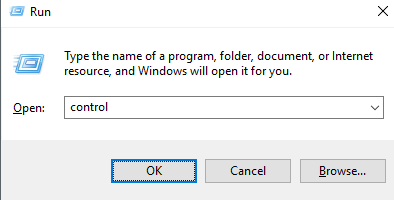 STEP 3 – Click on Uninstall to confirm. STEP 4 – Reboot your computer. It will install the driver again on your computer. Windows Services is the essential program that has to be always running for better performance and smooth running of Windows. Bluetooth has also its own Service which has to be running for working of Bluetooth. 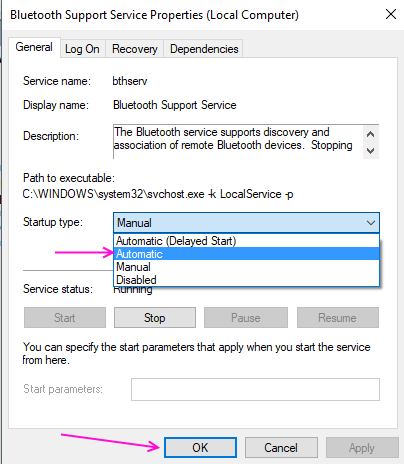 If your Bluetooth service is stopped then it is the cause of the issue, you can Check the status of the services by following steps. STEP 1 – Open Run box by pressing Windows and R keys together. Type service.msc and hit Enter. 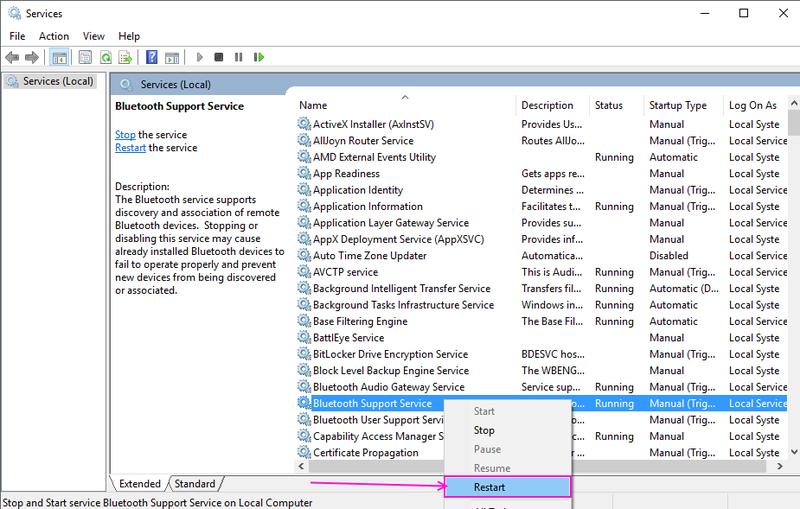 STEP 2 – Locate Bluetooth Support Services from the services list. Right click on it and choose to restart. STEP 3 – Double click on it and properties window will be open up. Select automatic option is startup type and clicks OK.